Where exactly is the Mid-Atlantic..and what accent do they speak with there? One of my lovely German clients is using elearning to train their contract negotiation teams worldwide. So they decided a Mid-Atlantic accent would be appropriate. We tested various styles (and various voiceovers!) and in the end the people doing the courses actually preferred my British accent. But they definitely preferred the USA pronunciation of schedule. Americans say it “skedule”…and the way to remember the difference is that in Britain we rather like our “sheds”. Here is the text – obviously all of my vowels could have sailed further across the Atlantic…and there are so many words that they could have wanted Americanised – dooty, doo dates – any others? But I’m intrigued as to why “schedule” is the only word that they felt needed to be changed. Any ideas? These duties on the customer’s part must also be described in detail in the contract documents. Also the due dates for the contract partners to fulfill their respective performance obligations are specified in the contract, often in the form of a time schedule or by dates for completion. I’ve often been told I have a chocolatey voice so it’s wonderful when I get to put it to good use! Click below to listen to an advert I recently recorded for Whitakers Chocolates LTD to promote their personalised chocolates. Here is my new 2018 showreel of my conference hosting and moderating work. I thought it would be painful to get this collated and edited. It was. Can you imagine watching over four hours of your own and others public speaking and deciding which bits are good, whilst trying not to get upset at the bits you hate. What I was not expecting was that this whole process turned into an extraordinary opportunity to reflect and learn again from a decade of experience. 1. The audience are the real clients of the moderator. If they are engaged then the conference is working. 2. Senior staff on stage might sometimes be under a bit of pressure, but they look good when they answer questions. 3. Only the moderator has the right (and the duty!) to keep things on time. That may mean asking the CEO to hurry up. 4. Audiences are very generous if you are obviously “live” and not pre-scripted. That goes for the moderator and for all the speakers too…so take a risk, go off script and tell your story! Perhaps the going SHOULD get bumpy…. Conferences can cost hundreds of thousands to put on. Is there really a better time to deal with difficult issues than when everyone has taken the time and trouble to gather in one place? So let’s celebrate success AND deal with tough questions. The new technologies to allow real-time LIVE questions from the delegates such as Sli.do can be initially alarming. But the results are (so far) ALWAYS worth it – because they increase engagement and allow conferences to sort out problems LIVE in the room. This video is thanks to the exemplary storytelling skills of Bespoke Reels. Thank you Charlie! Continuing with the war theme, it has been fantastic to work with Bletchley Park (the centre of WW2 code breaking). I am the voiceover on this new radio advertisement for one of their exhibitions. The story of Bletchley Park and its code breakers is fascinating and I am in awe of Dr Sue Black who helped save the crumbling site back in 2003 by a colossal fundraising scheme. Thank you so much to Claire Puplett at Global who produced this advert. You can listen to it below. Kids Audio Guide for Memorial Museum Passchendaele from Piers Gibbon on Vimeo. I love using my voice to help people learn new skills. Over the last few years I have been investing heavily in software and hardware to enhance my studios ability to complete even the largest elearning voiceover project – recording and naming and processing THOUSANDS of sound files. Here is my latest elearning showreel. Charity Auction – £632,000 raised! 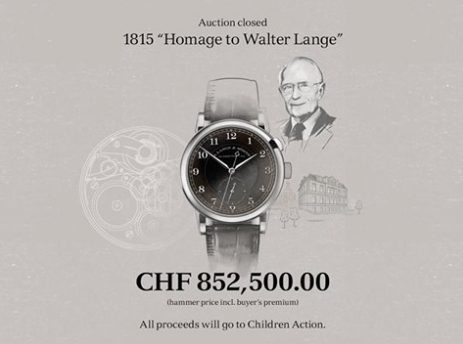 I am happy to say that I played a small part in raising over £632,000 for Children Action (a Swiss charity) through my hosting and voiceover work with A. Lange & Söhne, generating interest in the auction of a watch: the 1815 “Homage to Walter Lange.” The auction took place on May 13th in Geneva and was this one-of-a-kind collectors item was won by an anonymous bidder. Below is a video about the watch (with an impressive 166,000 views! ), for which I provided the voiceover. Today I am grateful for the value of collegiate community! 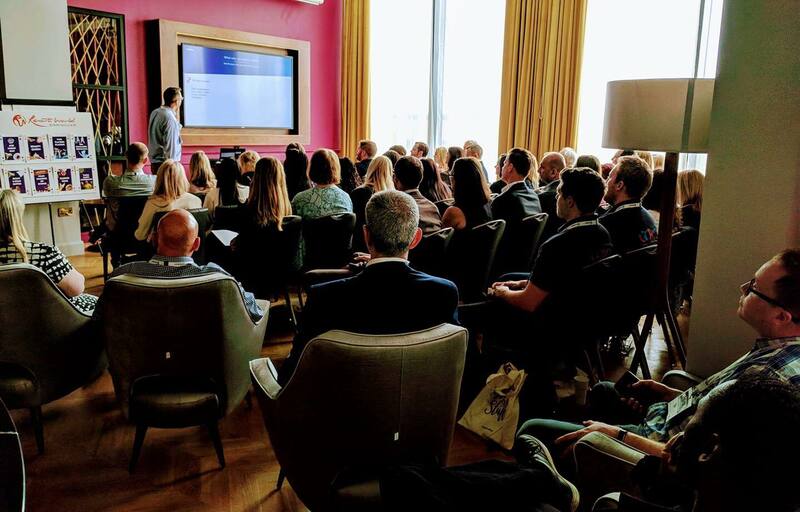 I had a great time yesterday up in Birmingham at Resorts World Birmingham for the The Delegate Wranglers – Job List Social Event Number Three. This is a meta-event – it is an event for all of the people who make events happen….and they are an eclectic and friendly bunch not afraid to speak their minds – as a conference moderator this makes me very happy! Lots of networking and lots of laughter is always a good mix, but there is also something really special when a group of people, who could regard each other as competitors, actually go out of their way to help each other. Huge thanks to Neil Thompson for the photo below – and for wrangling all The Delegate Wranglers into one place (not unlike cat herding) and to the very funny Daniel Skermer of Genting International Casino, Birmingham for hosting us all so graciously. I am looking forward to more lively meta events about events in the future. Looking forward to the One Voice award ceremony this weekend. Bringing back memories of when I won Best Male Voiceover at the Vox Awards a couple of years ago, the same year when Louisa Gummer (at the time sharing the same Neumann) won Best Female Voice Over! How funny! It’s another drizzly Easter so here is ‘A Drizzling Easter Morning’ by Thomas Hardy recorded in my studio. Have a drizzly one!